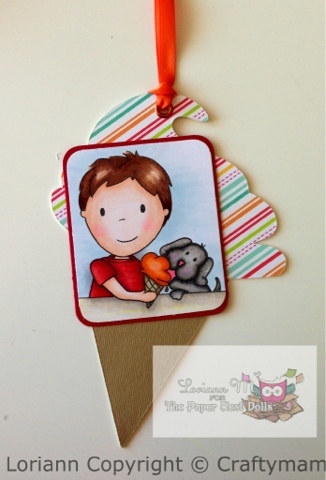 Hello, I would like to introduce myself to y’all I’m Loriann one of The Paper Nest Dolls design team, I was given this cute little boy with his dog as my first post, I hope you enjoy it. 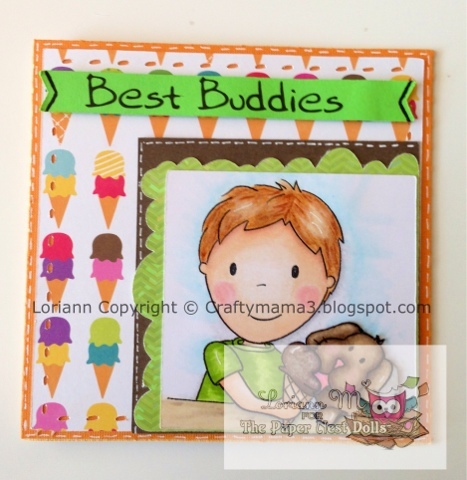 This is my first post for The Paper Nest Dolls and how sweet can it be with best friends what little boy doesn’t love his dog? I know Parker loves both our dogs. I made this card very simple along with a bookmark also very simple, I designed it to give to the little boy we all know who loves his dog. This is a smaller card than I normally do with a ice cream cone bookmark. Omg, I loveeeee this Lori ! Super cute and fun! Love that you did a tag too…. Adorable .